A RARE bottle of whisky considered the 'Holy Grail' among collectors has fetched a world record £1.2million at auction. The Macallan 60-year-old 1926, in a bottle hand-painted by Irish artist Michael Dillon, fetched the staggering sum at Christies Finest & Rarest Wines & Spirits auction in London this week. It broke the previous record sum for a bottle of whisky, which was set in October when another bottle of Macallan 1926 sold for 848,750 at Bonhams in Edinburgh. Before this week’s auction, there was some doubt whether the Dillon bottle still existed. 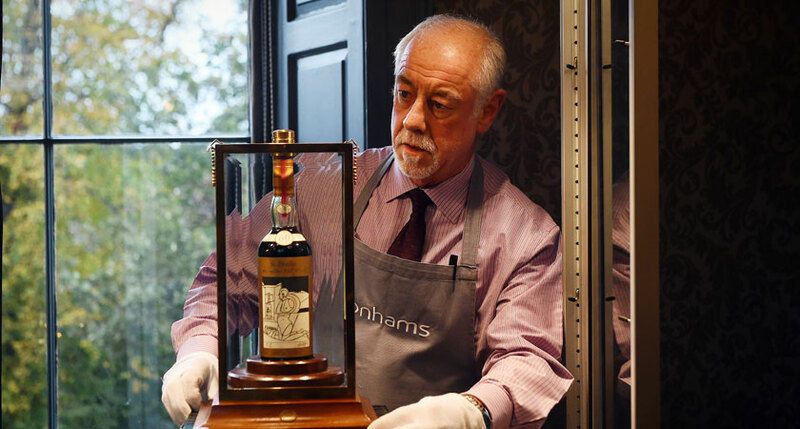 “The Macallan were unsure that this bottle still existed – it was last seen at Fortnum & Mason in London in 1999 – and it is quite excited that the buyer has kept hold of it,” Tim Triptree, Christie’s International Director of Wine, told the Christies website. Only 40 bottles of the whisky were produced, being bottled in 1986 after spending 60 years maturing in ex-sherry casks. Macallan commissioned world-famous pop artists Valerio Adami and Peter Blake to design labels for 24 bottles, which each artist’s design gracing 12 bottles each. The remaining bottles joined the Macallan’s Fine & Rare Collection, however one was hand-painted by Irish artist Dillon, famous for his historical decorations. 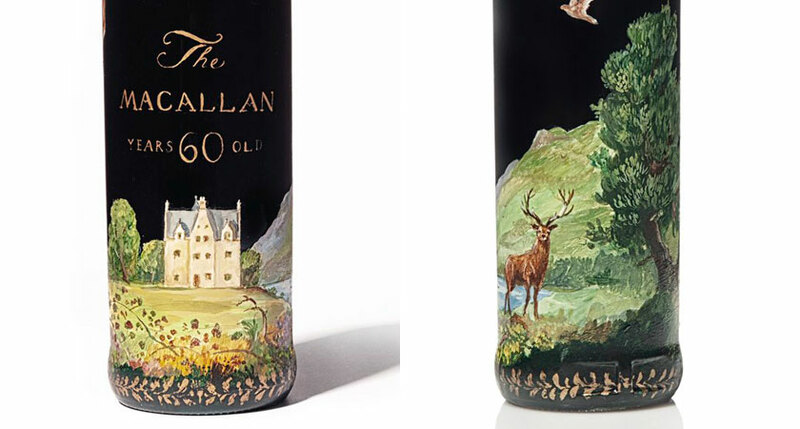 The bottle painting, depicting the Macallan’s historic Easter Elchies House, was commissioned and offered for sale through Fortnum & Mason in London in 1999. Triptree says he would like to think the buyer will open the bottle, as whisky is ‘produced to be drunk’. However with 30 servings of 25ml each from the 75cl bottle, that’s a staggering £40,000 per shot.